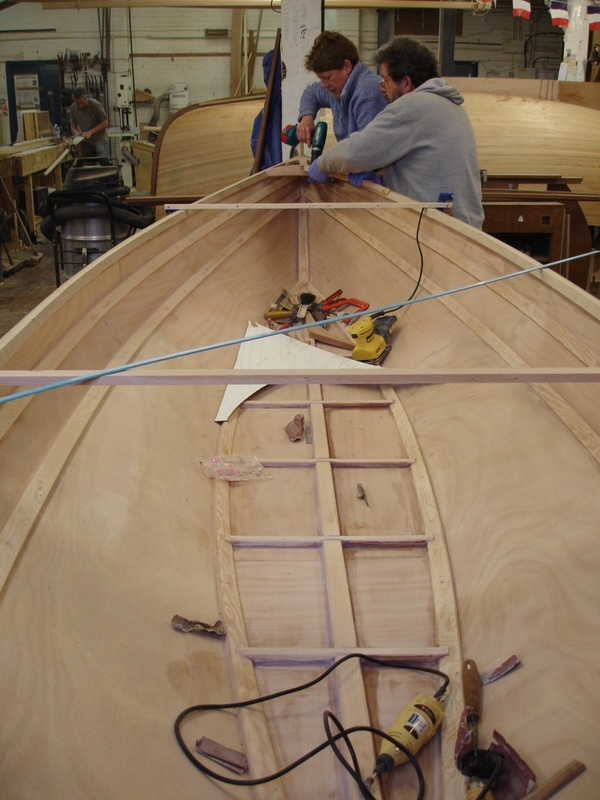 Boat Building Academy student Sadie Snowdown built this 14ft Marblehead dory skiff designed by John Gardner, and launched it along with her fellow students’ projects back in June. 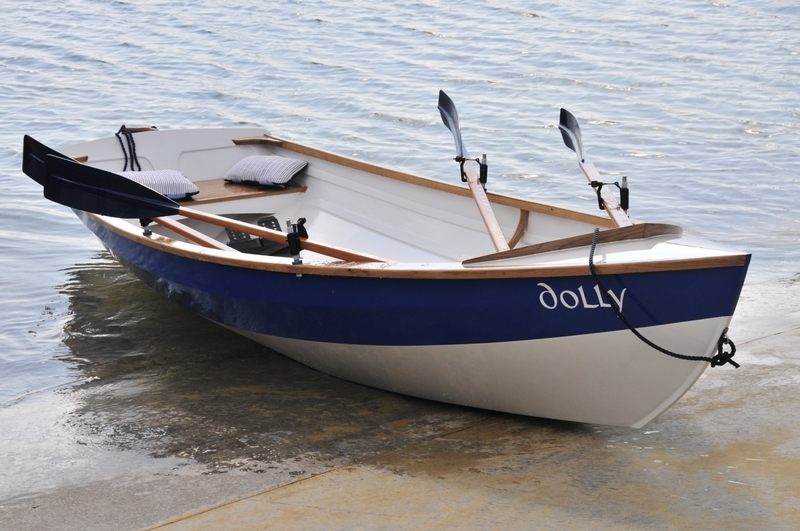 It’s a double-chine plywood rowing skiff with oak details that she has set up for two rowers with modern gates and pins rather than the more usual traditional rowlocks. Sadie joined the course at Lyme after working at Portsmouth Historic Dockyard as a volunteer, during which she decided she wanted to develop her boat building skills. See the Portsmouth Dockyard website for information about the work volunteers undertake. John Gardner’s books are a tremendous body of work if you’re interested in American boat types, and some of them have been available at very keen prices in recent years it’s well worth checking Amazon . My thanks once again to Academy principal Yvonne Green for the photos. 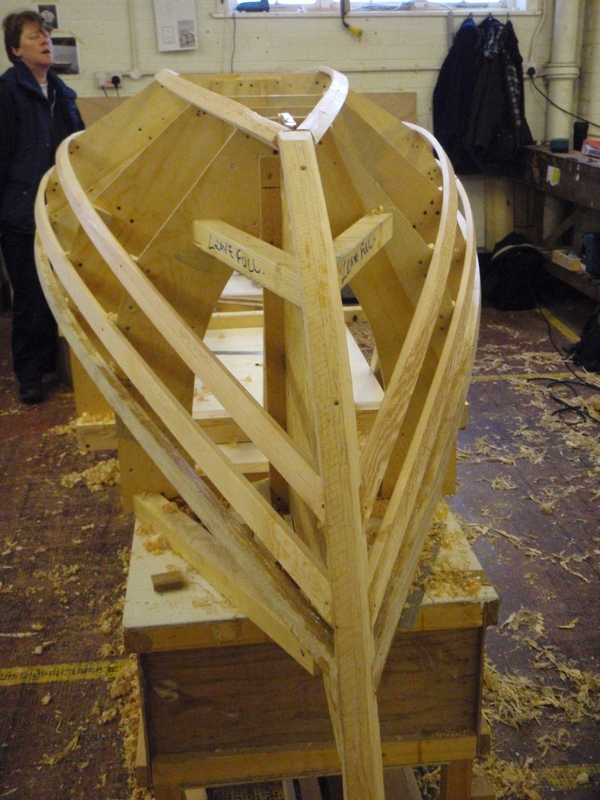 For more on student launches at the Boat Building Academy, click here. Don’t miss something good – start receiving the free weekly intheboatshed.net email newsletter now!